This plant grows well here. The flower was captured at the front of one's house. 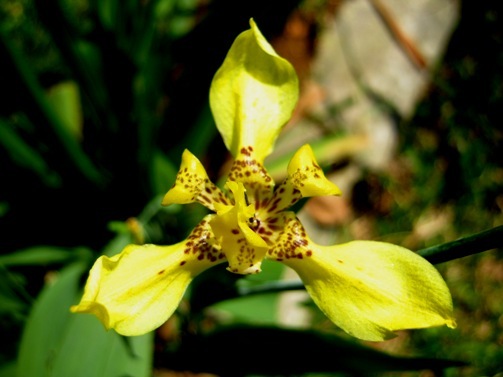 Great image of your beautiful yellow Iris! That is so exotic looking. I've not seen an iris with that beautiful heart. Gorgeous.